Recommend avast! Antivirus and win...CASH! When in 2001 AVAST Software co-founders, Mr. Eduard Kučera and Pavel Baudiš, decided to offer avast! Antivirus for free, it was one creative and brave decision. No one expected that this would change the future of the entire company and that 12 years later avast! Antivirus would protect 200 million devices. It is a marketing and business phenomena, and the AVAST "freemium" model has been outstandingly successful. However, the key to our success is YOU: The AVAST Community. By recommending our products to your family and friends you have helped us to establish the largest antivirus community globally. So to say thank you we launched the AVAST recommendation system. Every user can register via my.avast.account.com, generate their own individual link and start recommending avast. Each successful installation with that link is awarded one point and once 7 points are collected, the user receives a free license of avast! Internet Security. Now we take it a step further and offer special rewards for the best AVAST recommenders. For the next month or so, those avast! Antivirus users who help us get new users globally, and on each continent, will receive cash prizes! This is the time to get your whole family, work colleagues, or classmates protected with avast! Free Antivirus. 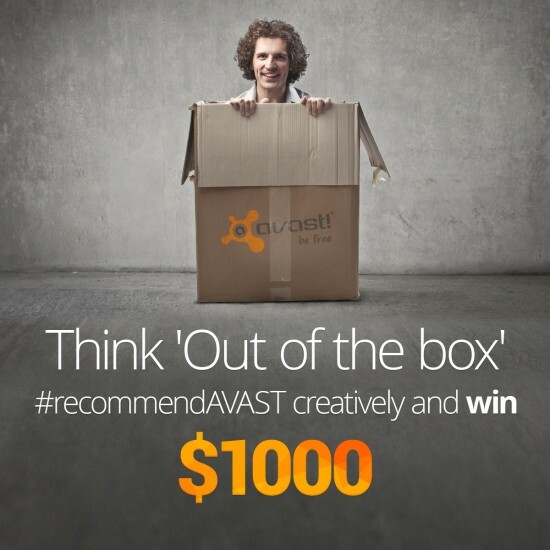 or anything that shows your skills and recommends avast! Antivirus. Start recommending now and win!